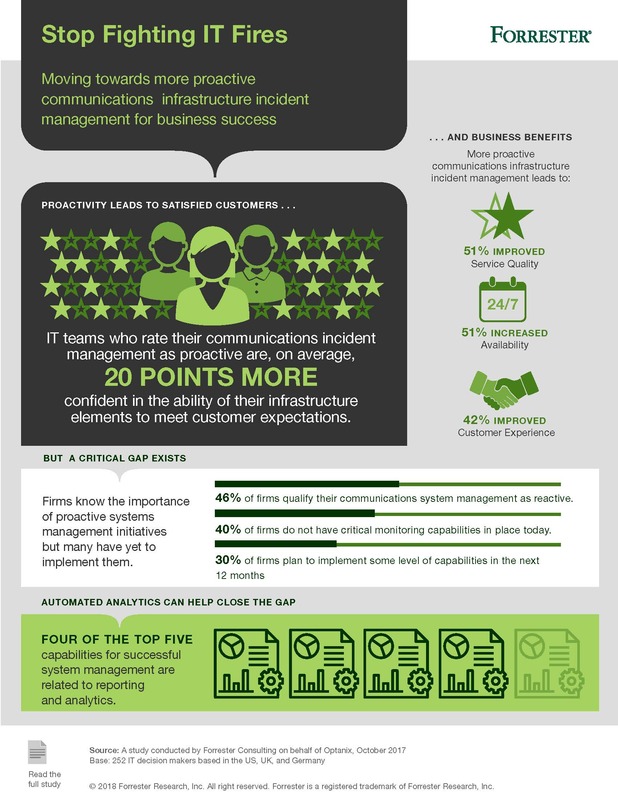 Forrester Research recently conducted an online survey to 252 IT and communications infrastructure support professionals to find out how reactive or proactive they were in managing their IT infrastructure. They found that more proactive IT management leads to improved service quality, greater network availability, and a better customer experience. In the infographic, Forrester Proactive IT Environment you will see some telling statistics from the study and most importantly, how you can start moving to this more proactive, strategic approach. Read the entire Forrester report: Firefighter or Strategic Manager, What IT Role Do You Fulfill?